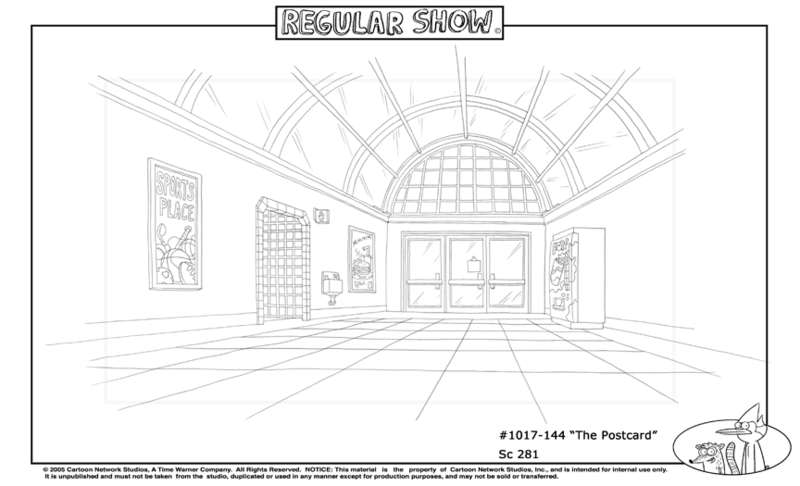 These layouts are from the same episode that I drew the car interiors for. 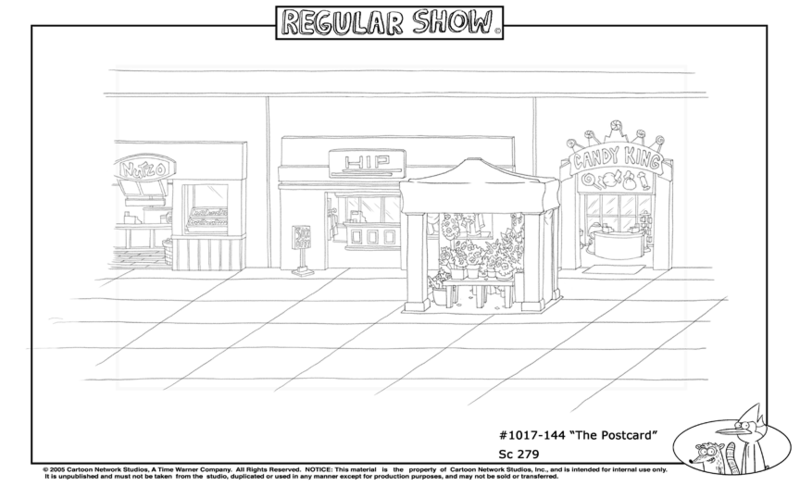 Interesting thing about these, is that most are used really for reference and reproduction for the animators over seas. Well at least the BG below here, and the one down at the bottom. The above was a static shot I believe, as is the third one down. 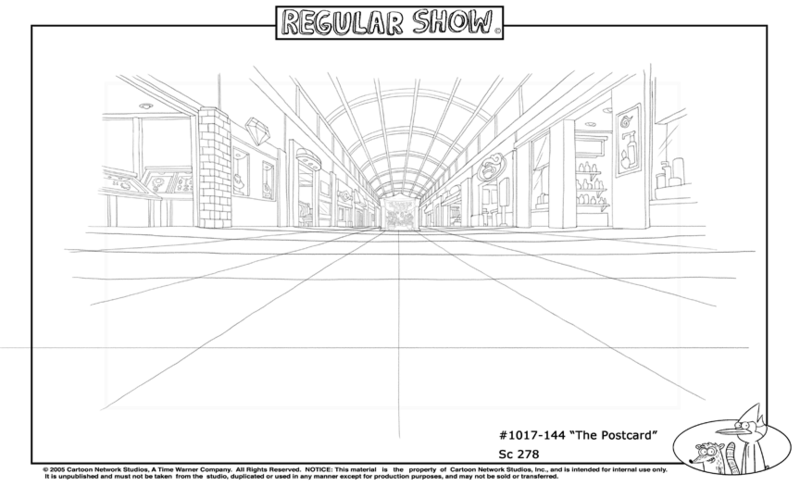 Hope me sharing these Regular Show BGs is interesting. I'm actually under a pretty gnarly work deadline right now, and don't have much free time to do more then share some older work for now. I'll drop the last 3 layouts for this episode tomorrow. 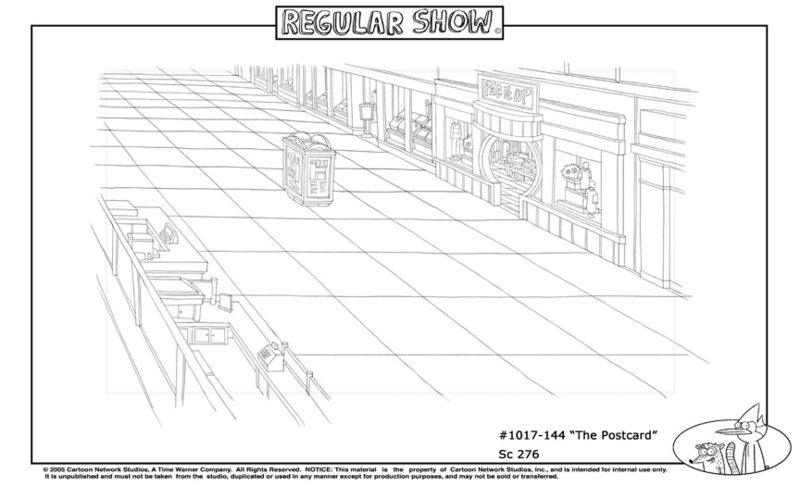 And truth be told, will most likely just continue to roll out the remainder of what I have to share from my work on Regular Show while I'm at it.